Just finished seeing Sinister, TWICE. No It was not THAT good, I was supposed to see another movie with a friend, then see Sinister’s late showing. So I bought my ticket to Sinister, but then we went to buy the tickets for the other movie (I refuse to name) it was already sold out. This friend then suggested seeing Sinister, and I didn’t want to tell her I already had my ticket. So I saw it twice, back to back. I’m a little glad I did my expectations blinded me in the first viewing, and after looking at the second one with a more critical eye I was able to completely change the review I had written in my head. Anyway, I posted it over on NoTearsPlease.com. So check it out. I goofed… I did the one thing I tell every horror fan never to do. I broke my own golden rule. It may be a harsh realization but as much as I live and breathe for this genre, expectations are the worst enemy to an enjoyable experience because there is very few films that can live up them. Is Sinister an exception? Am I able to look past what may be a geyser of disappointment? 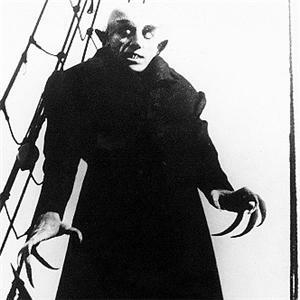 In 1922 Count Orlok was striking fear into the hearts of the audiences that were able to make it to the cinema. Certainly not the first horror movie ever created, but definitely the first supernatural big bad to become an icon of the genre. Fast forwarding 60 odd years and we see the film emergence of Michael Myers, Freddy Krueger, Dracula, Frankenstein’s Monster, The Wolfman, Zombies, Poltergeists, and so many more iconic creatures have given the horror genre its own identity. I hold myself to being an avid fan of the culture. There was something so immersive about the worlds being created before my eyes. I could tear up at the Old Yeller being put down. You could visibly see my excitement when Superman came flying to the rescue, and I even felt furious at Lando Calrissian for betraying Han to the Empire. Movies have the ability to draw out an emotional reaction when the story is engaging enough. The moment I watched my first horror movie, I realized that a movie could actually have a lasting impact on a person, even at such a young age this concept intrigued me. My hatred for Darth Vader subsided when the movie was over and I turned back to my Nintendo, as did my excitement at seeing Superman in action, and my grief over the poor old dog. However, my first true experience in the horror genre made me walk a little faster on my way home at night for weeks. Embarrassingly enough, that first movie was “Ernest Scared Stupid.” It is not a masterpiece by any standards. I was young and didn’t see the decent-at-best story it told. What I do know is that afterwards, walking home from my friends house up the street after dark at the age of 8 was a terrifying experience. 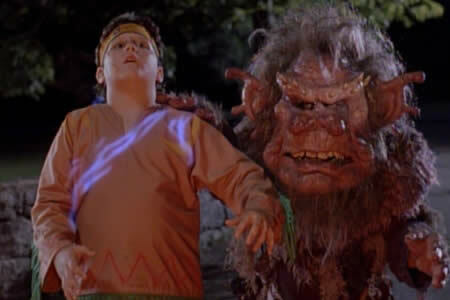 I would just remember seeing the Troll in my head and begin to hear his growl in the distance. Sometimes I would actually sprint all the way home. I was smitten by this feeling and literally have been trying recapture it ever since, with minimal success. Wes Craven, Stephen King, John Carpenter, H.P Lovecraft, George A Romero, there’s so many icons in the genre that I grew up admiring. 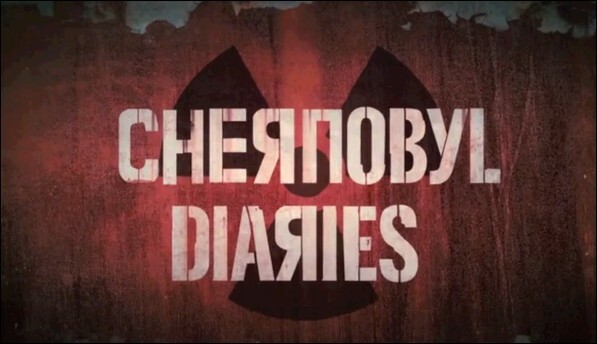 Last week I saw “Chernobyl Diaries”… If you are intending on seeing this movie I have two things to say to you. #1. Please DON’T. This kind of cheesy, lazy storytelling with questionably care taken into its production should not yield financial benefits. Hopefully we can put an end to these kind of movies, but we can’t do that if they keep making money. #2. If you ignored #1, then you may want to stop reading because there are spoilers in this entry. I can still remember it. The Blair Witch Project was in Theatres and everyone was petrified because they believed that it was real. Of course now if you watch it you’ll notice that really it was shot that way to keep the operating costs to a minimum. I watched it again as an adult and will admit the acting may be a bit on the needs-some-work end, but the movie isn’t all that bad. The Shaky Cam was a big part of the suspense, making it very difficult to clearly see what was going on to it was up to dialogue, sound effects and brief glimpses to get your heart racing. Chernobyl Diaries has a shaky cam feel to it, the camera is all over the place. There really is no reason for it to be shot like this because it’s not shot from the point of view of any character. One can argue the production value wasn’t all there so they had to shoot it that way to hide flaws and they couldn’t afford decent camera work. With a budget of a million dollars to work with and very minimum effects that needed to be used, there is no justification. This is all cosmetic problems I have with this movie. My main concern is that this movie is the ideal example I can think of to explain that Horror movie writers these days just don’t seem to care. 2. Pick them off one by one while they run away. 3. Just when you think the sole one or two survivors finally make it out, surprise twist they die! Michael Myers, & Jason Voorhees, basically all followed a very similiar formula. Strong, slow yet always ahead of you, masked man chasing victims to kill them. Myers terrorized a neighborhood, and Voorhees terrorized a camp. The difference is you can see the care in the writing of these beasts. Voorhees backstory of being a young, innocent, deformed camper that drowned and no one cared… then his mother is killed while seeking vengeance. And Myers was simply born as an evil incarnate, there was never really a soul in this monster and violence was always his only priority. Chernobyl Diaries attempts to compensate for lack of originality by throwing clichés at the audience. The little girl distracting the group while the big guy takes one of the group away. In context this makes no sense, these are escaped radiation victims, they are feral and eat raw flesh.. why set up a distraction and take one when they have the numbers to just overwhelm the whole group. If they were smart enough for this rouse… there’s no reason any of the characters should’ve made it to the end. Anyway, what gets me is the ending. I’ll admit that the first couple of movies I saw that had a total party wipe out.. as in no survivors, was a very cool and refreshing Idea. But it has been taken to such extremes now that I feel like writers don’t even feel they need to write an ending any more. Can writers come up with a way to have their character actually succeed? What story exactly are you trying to tell about a group that goes to Chernobyl and gets picked off one by one by monsters until they are dead? It’s so unnecessary and now that this novelty has been shot to death the little appeal that a total party wipe out once held in the film industry is gone. I long for the days when a horror writer is able to put a group of people in a seemingly hopeless situation and finds a way to endure it and survive, not stagger in the dark until they are all dead. Maybe that’s what I’m getting at. Horror movies now have been reduced to a competition of who can implement the most jump scares that require no previous thought or atmosphere (other than just making things really quiet for a second or two), and who can use the most elaborate special effects. I was so hopeful for this concept when I first saw the trailer. With the radiation of the area and the mysteries behind the Chernobyl incident there’s a lot to work with here in way of a compelling narrative, it pains me that the ball was dropped so hard. Come on “The Apparition” … it’s up to you to redeem the genre. The Devil Inside – Can it dethrone “The Exorcist” as best in genre? For those of you that know me, you understand that the horror genre is my baby. I hold no other genre in the entertainment industry close to the heights of horror. This comes at quite a price because as much as I adore this particular style of film making it is very rare that it is done right. Is The Exorcist Still Champion?? It is very disappointing when the only examples I can give for good horror movies have no representation in the last 10-15 years. When I talk about horror done right I talk about A Nightmare on Elm Street (NOT the sequels), I talk about Friday The 13th (Pre Jason Vorhees..albeit I don’t mind Jason as a concept), and of course no listing would be complete without a mention of The Exorcist. I can talk George Romero, Alfred Hitchcock, Wes Craven.. the list is endless, but it is The Exorcist that needs to be address for this review. 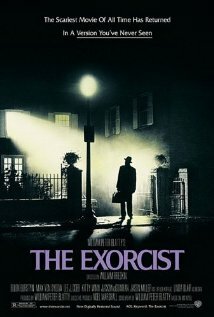 The Exorcist is notorious for being one of the scariest movies of all time. Of course you need to keep in mind the era in which it was released. Although the special effects may seem a bit dated by todays standards the movie still holds up at being a pretty damn good scary flick to watch, but back in 1973 religion played a much larger role in day-to-day life. Faithful church goers would go see this movie of Lucifer possessing a child named Regan played by a young Linda Blair. This movie put the fear of god in a large number of people, literally. Linda Blair required bodyguards due to death threats against her for her portrayal of Regan. This movie is one of the most famous horror movies of all times and, if adjusted for inflation, would be the highest grossing R-rated film of all time. It’s almost 40 years later and there is still yet to be a better movie about exorcism. So the earlier question remains. Can “The Devil Inside” dethrone The Exorcist? The Devil Inside starts in 1989 with a 911 call from a woman named Maria Rossi. In a very cryptic way of speaking she admits to killing three people. This scene is followed up with police arriving at her home and documenting the crime scene. This leads to a predicable jump scare and eventually segways into various news coverage of the murders. We then meet our protagonist Isabella Rossi, Maria’s daughter. It is only at this point that I realized that the entire movie is shot documentary style through the point of view of Isabella and her friend Michael. I am not going to instantly dismiss this movie because of this fact though, I mean Troll Hunter was an incredible film and it was done with a similar style… but it didn’t take long to realize that this film was definitely NOT Troll Hunter. Isabella sits in on a class at “Exorcism school.” I do not recall the name they officially used but that is how she referred to it, and when they sit in class there is a lot of exposition from the priest teaching about how to determine possession. I am unsure if I am mistaken about this but I’m pretty certain that modern-day vatican do not wish for any evidence of exorcism to be made public. 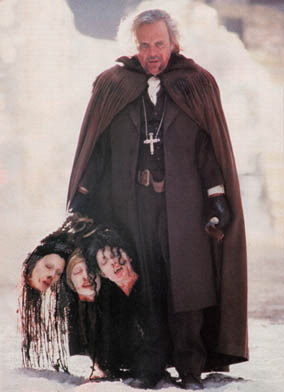 Exorcisms even in the 70’s were somewhat shunned by an increasing non-belief in Catholicism. So why would a teacher of exorcism class allow a girl to sit in making a documentary, and then go on to be interviewed by her? It is at this point I realized that if I try to look at this movie from a realistic standpoint I will drive myself mad. So I decided to just take it at face value and start looking more at the story telling and character development. Wait, character development? Oh foolish me. There is absolutely none in this film. The characters you meet are the characters you end up with… of course near the end they have seen some messed up stuff and are more panicked, but there is no growth at all. I will give credit where credit is due, the exorcism that the two priests perform in the movie is top-notch. Good effects, the cinematography was done pretty good as well. Also, the diagnosis that the priests do on Isabella’s mother is pretty intense too. In the final act when everything starts to go absolutely bonkers there are a couple of decent jump scares and some eerie moments but it isn’t enough to save this movie. This movie drags through useless exposition and does not offer any sort of realistic and believable story. Whether you believe in the devil or not, when you see Linda Blair and you hear everyone describing the procedure in The Exorcist, you get a much better feel that this is the actual church, and an actual priest trying to expunge a demon… in Devil Inside it just seems like some college kids over budget attempt at a scary movie. There is a scene at the end of the movie where Father David (one of the priests) is really upset about the events that happened at the mental hospital with Isabella’s mother and then in the middle of speaking he states that he has a baptism to go to. Then we hear Michael (the cameraman for most of the movie) say that he was supposed to go with him too… This comes right out of left field and bares no significance to the story. The only reason Michael was going to film that baptism is to give the film maker an excuse to show David going completely inside.. which is essentially when everything starts to get intense. But on a documentary about exorcism, why would he need footage of a baptism of the priest. I mean it can be argued that it would be used as B Roll, to establish David as a priest when the went to do their final cut of their documentary, but that’s a tough pill to swallow, especially when you consider what just finished happening at the hospital, AND this has not been done with any other priest up to this point. I know its validity can be justified, but not without a stretch and it is just a needless scene. 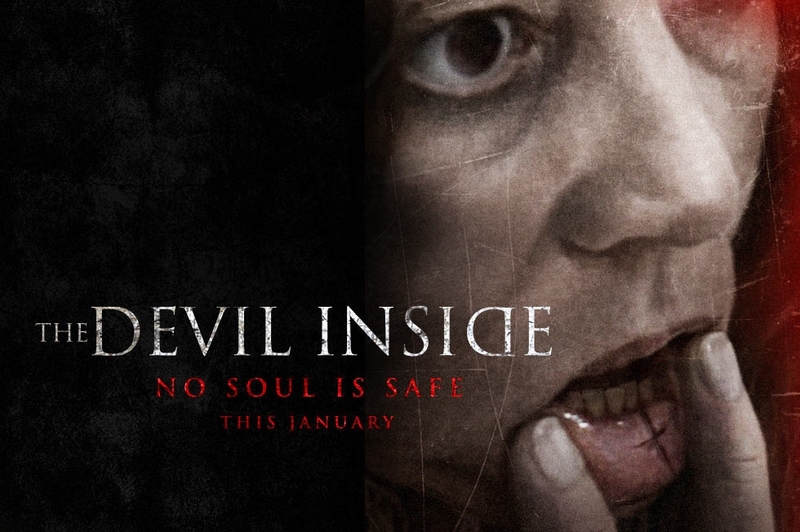 So, does Devil Inside dethrone The Exorcist as best in genre?? Devil Inside can barely polish the boots of the Exorcist. It’s one of the few times I went to a movie in the theatre and could not find some redeeming quality to make me feel like the price of admission was worth it. I mean I did see this with a pretty great girl.. but other than that it was not worth the money. If you want to see a decent modern-day exorcist movie, go check out “The Exorcism of Emily Rose“, The Devil Inside is an hour and half that will feel like 4 hours and will be time you can never get back. 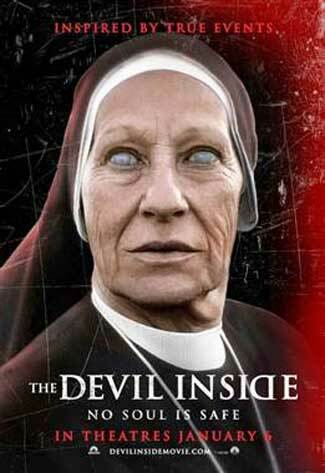 The Devil Inside 3/10 – Pass on this movie if you have the option to. Even if you can see if for free, you will overpay! You’ve seen the trailers, and you’ve heard the buzz. The wait has finally ended and Dead Island is now on the shelves. I was pretty excited for this release. The thought of having a free roaming zombie apocalypse game was intoxicating. The question is though, does the game really measure up to the hype. Well if you’re looking for an easy answer then I’m happy to report the answer is Yes. Of course it does. Far from flawless, Dead Island is everything I was wanting it to be. So I give kudos to Techland for a job well done for the first game to which I hope will be a long running series. For a complete review please continue to read. You are on a remote island tropic having the time of your life. Everyone is getting hammered, Sam B the one-hit wonder rap star is giving his all performing his hit, “Who do you voodoo?” and life is good. Until you wake up the next morning with a hangover and notice that there are dead people walking around everywhere. There doesn’t appear to be any survivors. Welcome To Dead Island. The concept is great and it feels fresh. The visuals are stunning for the most part and the game play is solid. Don’t you just hate it when developers spend too much time on gameplay that the game plays really well but looks outdated? Or how about games that have a nice pristine horizon and insane character details but handles like absolute crap? Well fortunately for all of us Techland managed to provide us with absolutely serene and breathtaking views of the island, and did not have to compromise their game play. The details they go to providing an opened up tropical resort are unbelievable. Is it perfect? No, not by any means. Does it have to be? No sir. I am not completely overwhelmed by the character design for the survivors. They are good, and without question up to par with today’s standards, but compared to the absolutely mind blowing scenery of the area the characters seem to stand as generic. There’s been a number of people who have already reviewed this game professionally and there’s been a number of people pointing out this flaw, and I tend to agree with them. 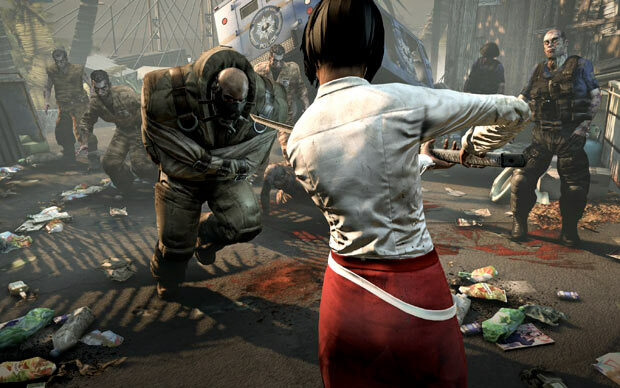 For all the effort Dead Island put into giving each of the four selectable characters an in depth back story, they never really get developed. The cut scenes don’t really give us anything new to consider about the characters and they seem to be the same people at the beginning of the game as they are at the end. This doesn’t seem to be all that true to life considering in the interim, they fought their way through a Zombie Apocalypse and saw the worst humanity has to offer. That should have at least some lasting impact on them. That being said, the main story is not really anything all that captivating, until you get near the end. It’s pretty good but nothing overly stands out at the moment. It was pretty solid though. The plot twists and a few of the character developing moments for the NPC’s was well done. All in all the story is pretty decent, but years from now it isn’t the story that’s going to get us remembering Dead Island. This is where the game shines. The freedom you have to wander this tropical paradise full of undead makes the game something special. It plays a lot like a first person melee-focused Borderlands, where you level through killing, but you can also pick up so many different variations of the weapons of the island. The skill tree is pretty similar to Borderlands as well, there are three main skill trees, one for combat, one for survival, and the other for your own special skill. Breaking bones using blunt weapons, slicing limbs with sharp weapons, and basically one-shot killing humans with head shots all contribute to make the game play of Dead Island an amazing gaming experience. The game runs through Four Acts, each bringing you to a brand new location to explore and a ton of new characters to meet and interact with while you try to navigate your way through the zombie hordes. The part that I especially enjoyed about this is that each of the individual acts provided the gamer with a unique gaming experience. Each act basically had a different selection of common weapons lying around, the terrain and the encounters were all different enough that each new area legitimately felt like me and the guys advanced to something new. Techland could have taken the easy way out and just made a new setting for the same exact thing, but no they perfectly utilize each new area with specific quests that are applicable to it. As you all know though, I stay objective with these things and I would not respect myself if I didn’t point out some flaws with the gameplay that I didn’t really enjoy or felt like it fit in such a well made product. #1:Repairing items involve going to a work bench and spending money. That mechanic does not make sense to me because you can’t actually use money to repair tools, and if you do it yourself it wouldn’t cost anything. I understand the NPC’s buying and selling tools, and I would even forgive if there was a guy always by the workbench and you paid him to fix your gear but the way it is now just partially takes me out of the experience a little. #2: The scenery is absolutely unforgettable, but I think the game would have been better suited if they were able to make the environment a little more destructive… even if the overall visuals were affected. The fact that I’m driving on the beach in my pick up truck going top speed, only to crash into …. a sand castle. The truck slams to a hault as if it hit a brick wall. Also, I was successfully able to avoid a Ram (A huge zombie in a straight-jacket who charges at you).. by keeping a street sign in between us.. he couldn’t get past it. I can kick the beach ball around with my kick, but if I swing at it with my nail’d baseball bat, it just stays put. #3: If the other two are not nit-picky enough then I know for a fact this one is. The fact that our characters are “immune” to the zombie disease is a bit of a cop-out for me. I mean I understand it would be difficult to have this style of game without that plot point, and in the third act they use it pretty well in the story… but I think for me the true feel of a zombie apocalypse is not the fear that I’m going to be killed by zombies. It’s the fact that although they are mostly slow and stupid all I need to do is slip up once to be bitten and become one. #4: This may be the only legitimate complaint I would make about the game, but it is only a temporary one. The game is pretty buggy at the moment. It’s only been out for less than a week thus far, but that still doesn’t mean that I should overlook the issues. There was a time in the third act that we couldn’t turn in two quests because the two quest givers were no longer in the room, they had been glitched out. There was one mission where I had to get gasoline from a station and bring it to a guy. I got the gas and loaded it in the truck, but instead of going to the guy I went to another location and turned in a quest then I fast-travelled down to the guy who wanted the gas. Unfortunately I forgot the truck had the gas he needed, so I travelled back but the truck was gone… I went back to the gas stations and the fuel canisters were no longer highlighted because I had already completed that part of the quest. So my quest tracker said to bring the gas to Mike, but I had no gas to give him. Bugs like this will be patched as they are reported I’m sure. The jist of it all is simply, you MUST play Dead Island. There’s no reason you can’t if you’re a gamer it is out for Xbox, PS3, and PC. Logo For Extra Credits taken from their website. I have been on this earth for 25 years now, beginning my 26th in October. There have been an incredible amount of variation in the interests that I have taken over the years. Learning to play guitar, researching the business side of Pro Wrestling (NOT just watching it every week), hell I even watched shows like Barney well into my teens just to come to some conclusion as to what makes good children’s television vs what makes it bad. The music comes and goes for me. I never lose interest completely but sometimes my heart just isn’t in it. The gritty underbelly of what makes Professional Wrestling tick still seems profound to me but in the end it has been buried to the deeper recesses of my mind. There really is only one true interest that has stuck with me through my entire life and still stays prominent today. I am a Gamer. – Sure, a couple of years ago I sold my Wii (because someone actually gave me 500 bucks for it) and I was console-less for almost two years, but Gaming has always been at the core of my being. When I’m upset, angry, happy, I can always turn to the appropriate game to nurse that emotion and channel it. The reason why I’m deciding to write about it now is simply due to the fact that I actually have discovered the perfect description for what I think video games can be, and strive to be. Seriously, I need to give a special mention to these guys. This is a show developed by three people, Join James Portnow, Daniel Floyd and Allison Theus. Every week a new aspect of gaming in discussed in detail. They talk about everything from Controversy, to Piracy, to an analysis of the term “Gamer” itself. Here is the real treat that I find in this series. The mandate that they put forward with each and every new episode is that the video game community(Consumers, Developers, and those in the media) needs to make some changes in how we behave and the decisions that we make. If we play our cards right, then video games may one day become recognized as the art form that it is. When people think video games, they generally group it together with children’s toys. 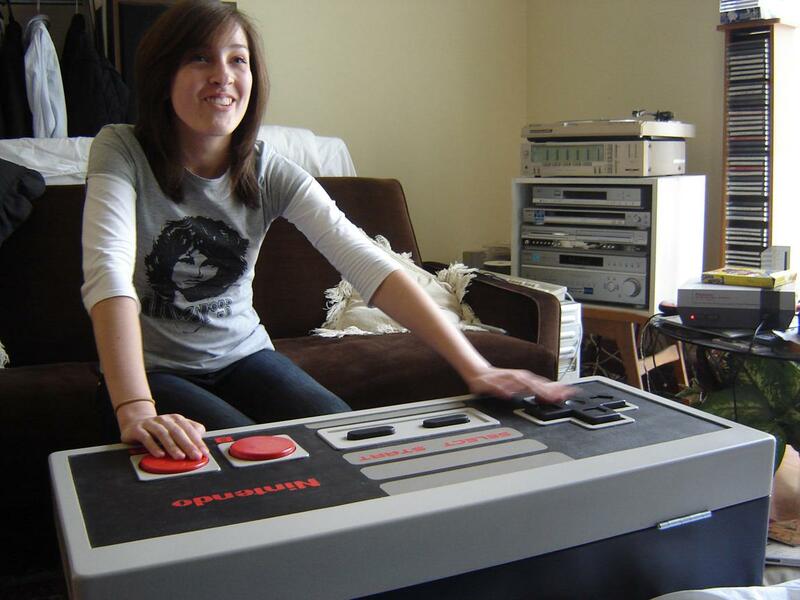 The tendency to play video games is supposed to be something that you grow out of over time. I guess the real reason why looking at video games as an art form really speaks to me is because when I was growing up and I went through a rough patch both mentally and socially, instead of getting down to the problems I was actually having. My parents would rant and rave about how they regret ever buying me that Nintendo Entertainment System. It was, and I quote, “The single worst decision” they ever made as parents. Dad even decided one day to come downstairs and video tape me playing Iron Sword back when I was like 9 years old. The tape goes on for a solid 10 minutes of me standing 4 feet in front of the television with the NES controller in hand, sound effects blaring from the television. The only movement out of me was the occasional nose-pick, and the mashing of buttons when I found myself fighting an enemy. The thing is if you were to really look at the potential in video games when it comes to aspects like story telling, or even education. Gaming is a mostly untapped resource, or at the very least is light years from reaching its potential. The contemporary productions that are being released in recent years have taken the industry that much further. Even some sub-par games can have merit, I mean in high school I knew more than just about all of my classmates about some historical figures. Why? Because I read a lot of books?… well I did, but no that isn’t it. I certainly must have seen a movie about them?… nope, wrong yet again. Okay a tv show?… incorrect. I knew about historical figures like Ludwig Von Beethoven and Joan of Arc when I was bit a mere child, by playing Mario’s Time Machine for the Super Nintendo. This sounds a bit absurd, but this is just an example of the comparison that you can use to categorize gaming on some level with television, movies, and literature. I tell you I knew something, and instinctively, books and film become the culprit for educating me. Instead, it was a video game. Games don’t need to be educational to be deemed art. Anything that has the ability to get you thinking about a topic, or something that you can just get lost in visually is my definition of art. 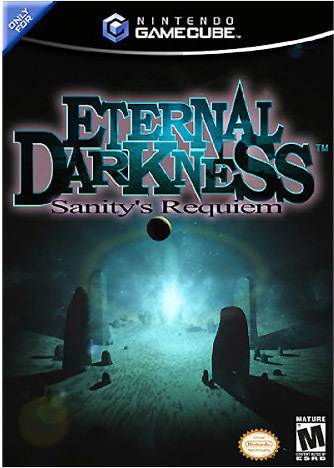 Eternal Darkness: Sanity’s Requiem for the Nintendo GameCube is an example of a game that garners a lot of talk after its release, it is usually one of the first games mentioned when game reviewers talk about Hidden Gems (games that were amazing for their systems but no one really bought them) for the GameCube. I was very fortunate when I was in university. I purchased a GameCube strictly to play Metal Gear Solid: Twin Snakes, and this game was at EB Games for a pretty cheap price. It looked interesting so I picked it up, and truthfully I held onto my GameCube for ages simply for this game. It’s a dark, yet insightful dive into the madness that plagues a bloodline over different generations. Ancient deities and tragedy striking at every turn. As the title hints at, you spend a lot of the game in between flashbacks wandering around a large mansion losing your mind. Hallucinations, and monsters pop out of no where, but in a tasteful, suspense building method. It isn’t a game that tries to scare you by just jump-tactics (when loud noises or quick visual effects are used to make you jump) It builds up the discomfort over time. I lost myself in this game and when someone wants to discuss the legitimacy of video games I will continue to used Eternal Darkness as an example. To me it was indeed a work of art that took me to an entirely new plateau of reasoning. Kudos to the Game Designers of this one. I didn’t learn anything specific about it per-se, but just the immersion that it succeeded in me is enough for me to call it art. Thanks to Extra Credits, I know now exactly the words to describe how I felt about gaming for all these years. Games are not childhood toys, nor do they have to be any more of a waste of time then your standard Hollywood movie or Stephen King Novel. Video games deserve their place as a protected medium of artistic expression, and through solid decisions from game designers and some key changes in the mindset of the consumers I think that the mission of Extra Credits is something that is unquestionably possible to accomplish. This entry may not appeal to those of you that also stop in and read my rantings, but ever since the concept of video games actually being a recognized art form got into my head, it really is something that I want to do everything possible to support. This entry would be the first step, when I figure out what the second one is I’ll let you know. For now, I am just going to say that if you are a gamer and you are reading this, agreeing with all that I said. I want you to finish reading this entry and then follow the link above or Click Here, to view Extra Credits home on Escapist Magazine, because frankly they say this a whole lot better than I do. The team is a lot more familiar with where the industry is right now, and where it can go in the future if we all do our part. Video Games may not be an endangered species but if we are going to make them be a viable, respected medium there is a lot of work to be done. This isn’t asking you to sit through a boring discussion, and struggle to stay awake. The information presented in their videos is done so with accuracy but also a hint of humor. Especially the artwork by Allison. Even if you are just a casual gamer, or you are new to gaming you are going to be able to watch these videos and walk away with a newfound understanding as well as a better appreciation for the world of Video Games. So what are you waiting for, go check them out. The biggest night in the film industry is upon us ladies and gentlemen. Are you as pumped as I am? … well if you have a pulse you probably are. I am not one to get overly excited for Oscar night. However I think this time around I am going to take a different approach. I’m going to channel the inner journalist that I have recently discovered within me and I’m going to pretend like my opinion is something that people actually hold dear. If you are anything like me then it is entirely possible that you have absolutely no idea who is nominated for what award. Hell at the time I am writing this I still don’t actually know what movies are up for what awards, but I assure you that the next time I write about the Oscars here, it will be after I completed my next little undertaking. That’s right, I am going to follow up my Big Bang Theory & my Glee reviews by sitting down over the next few weeks and watch every individual movie that is nominated for the major awards, and then I will complete an entry for what movie I would vote for, as well as try to predict what movie will actually take the honors. There is going to be a LOT of movie watching in my future. I’ve seen a bunch of the frequent nominees and I am not going to dive into the foreign films and lesser reknown categories. However watching this nominee list I see that in the near future I am going to have to sit down and watch a fair number of movies. and I’m going to be checking out Biutiful, which I am going to watch simply for John Winches… err I mean Javier Bardem. Anyway, I put the movies that I have already seen in Bold, as you can see this is going to require some man hours to be dedicated to the cause. Here I go again. 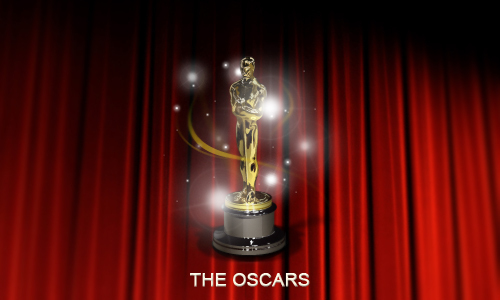 Lots of movie nights coming in my near future, only 30 days remaining until the Oscars.